Great stay Beautiful secret location. Rooms are small but location makes up for it. Can be noisy of a morning with guests walking around on the decks. Super friendly staff. Nice buffet breakfast. I will definitely stay again. 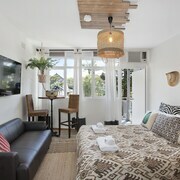 Situated near the beach, this hotel is within a 10-minute walk of Manly Wharf and Manly Beach. Shelly Beach is 0.7 mi (1.2 km) away. Looking for a fabulous place to base yourself in Sydney, the capital of New South Wales? Whether you're on a boxed wine or top-shelf champagne budget, you'll find the ideal hotel in Manly, 10 kilometres from the centre. If you're the sort of traveller who loves ticking off bucket-list attractions, Sydney will treat you right. A visit to Bondi Beach, Sydney Opera House and Sydney Harbour Bridge will give you serious travel bragging rights. Behind the doors and walls of North Head Quarantine Station are a multitude of captivating tales and fables. 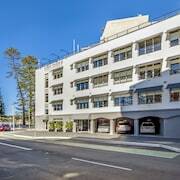 If you’re looking for some nearby hotels, the Quest Manly and Novotel Sydney Manly Pacific are a couple of sensational options. The sound of birds chirping will be music to the ears of nature lovers as they wander through Sydney Harbour National Park. 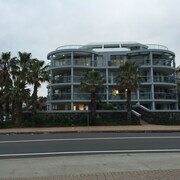 You'll also find great hotels within close range of this sight, such as the Manly Guest House and Manly Beachside Apartments. 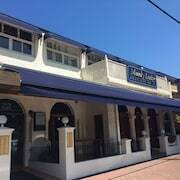 You won't have to do battle with lumpy pillows and weird creaking noises coming from the walls when you book a bargain room at the Boardrider Hostel/Backpacker & Budget Motel and Manly Beach House. 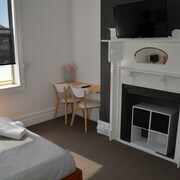 Here at lastminute.com.au, cheap doesn't have to mean nasty. Saved your pennies for awesome attractions and just want to use your hotel as a base? We get it. Though, that said, sometimes your digs can be the experience! If you believe us, splash a little more at the Manly Surfside Holiday Apartments. Holidays! They're about ditching the 2-minute noodles and cordial and spoiling yourself. Why not get yourself moving with a strong coffee and a scrummy snack nearby at North Head Cafe? When you start craving something heartier later, follow your nose to Boilerhouse Restaurant & Bar. Their mouthwatering menu is certain to satisfy your rumbling tummy. You could stop there, but why would you? You're on holiday, right? At any rate, there's a beer with your name on it at Bella Vista Cafe! 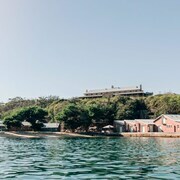 If you and your mates are having dramas finding the right room in Manly, have a squiz at our Watsons Bay hotels guide. Alternatively, our lastminute.com.au Brookvale hotels guide will get you sorted. So, get your skates on! It's time to pick out your dream Manly flights, experiences and accommodations. And don't forget to tag us in all your awe-inspiring #GlobalTraveller moments!